UMW Oil & Gas Corporation Bhd (UMW O&G) hopes to continue tapping into the region’s growing energy demand. Currently, Asia accounts for 39 per cent of global energy consumption, which Douglas Westwood expects to rise incrementally over the next twenty years from 2011 to 2030, says non-independent executive director and president Rohaizad Darus. “This clearly places us in a favourable environment,” he told The Borneo Post via email. 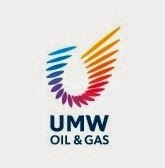 UMW O&G is due to be admitted to the Official List of the Main Market of Bursa Malaysia Securities Bhd on November 1, 2013 and will have a market capitalisation of approximately RM6.1 billion upon listing. “As a listed company, we are looking forward to taking all opportunities presented to us to increase our value to our shareholders, customers and partners,” he added. The group currently hold a seven per cent and 11 per cent market share in Southeast Asia in offshore drilling and workover services respectively. “In Malaysia we have 21 per cent and 36 per cent of the market share in offshore drilling and workover services respectively. The firm also has plans to establish the UMW Drilling Academy, which is expected to be in operation by early next year to train more people to ensure a continuous supply of skilled personnel to feed into the group’s expansion plans. On October 18, UMW O&G IPO to the Malaysian public comprising 43.24 million issue shares has been oversubscribed and the balloting of successful applications was conducted. Subsequent to the close of the institutional offering to Malaysian and foreign institutional and selected investors (institutional investors), including Bumiputera investors approved by the Ministry of International Trade and Industry, the institutional price has been fixed at RM2.80 per share on October 18, 2013. Accordingly, the final retail price for the IPO shares under the retail offering was also fixed at RM2.80 per share. As the Final Retail Price equals the retail price as set out in the Prospectus dated October 3, 2013 issued by UMW Oil & Gas Corporation Bhd, there will be no refund to be made to the successful retail applicants. Based on RM2.80 per share, UMW O&G’s IPO will be the largest IPO in Malaysia thus far this year, with its RM2.36 billion offering attracting substantial interest from international and Malaysian investors alike, evidenced by its institutional book being oversubscribed by approximately 55 times. Commenting on the progress of the IPO process thus far, Rohaizad said, “We are extremely pleased and honoured that the investment community has been so supportive of our IPO plans and I truly feel that this represents the great confidence investors have in UMW O&G. UMW O&G’s proposed listing has attracted a strong network of cornerstone investors, 21 of which who have agreed to purchase an aggregate of 399,000,000 shares, representing 18.5 per cent of the enlarged issued and paid-up share capital of UMW O&G.